I'm looking for a carpet scrap to hopefully patch a very visible gap left by the PO who fought the battle of LM molded carpet installation and lost (at least here). Black loop carpet 8 inch x 1 inch approximately. Can be bigger, but not smaller. Just need a scrap. Willing to pay postage and something for your time. PM please. Edited 1 time(s). Last edit at 02/17/2019 11:30AM by MattNall. Have you looked under the seat you may have an one inch x 8 inches. Regardless, it may be hard to seam and not see the cutline, how about bending some lite gauge sheetmetal and painting it black? Hmm. 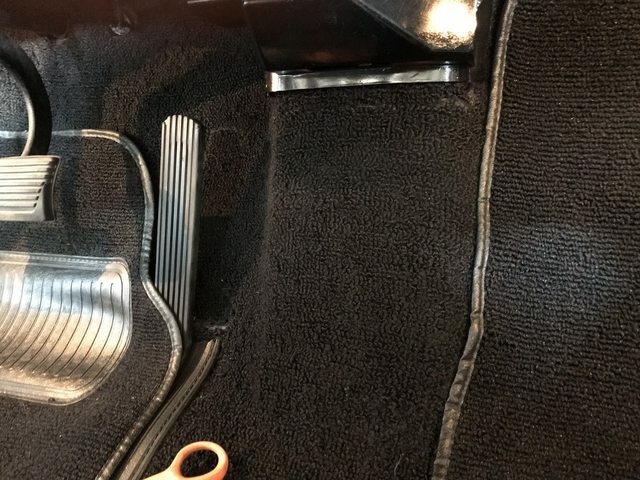 I like the under the seat idea. If I can't get a scrap, I'll try that. 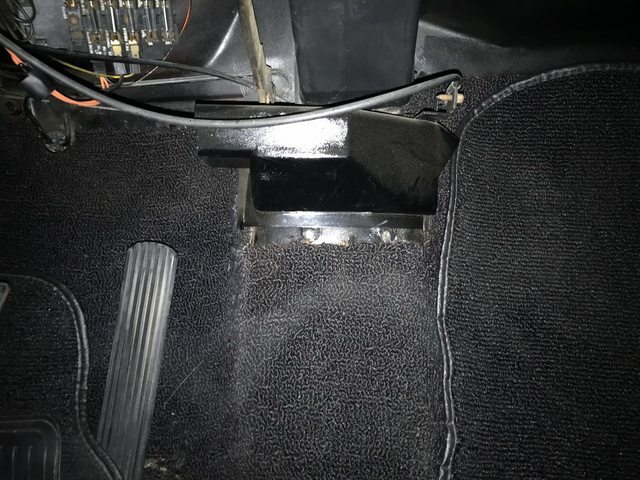 I formed a piece of ABS sheet and glued down carpet to cover my heater delete. Unfortunately, not the right carpet but it's hard to see. Boom. Not perfect, but much better. 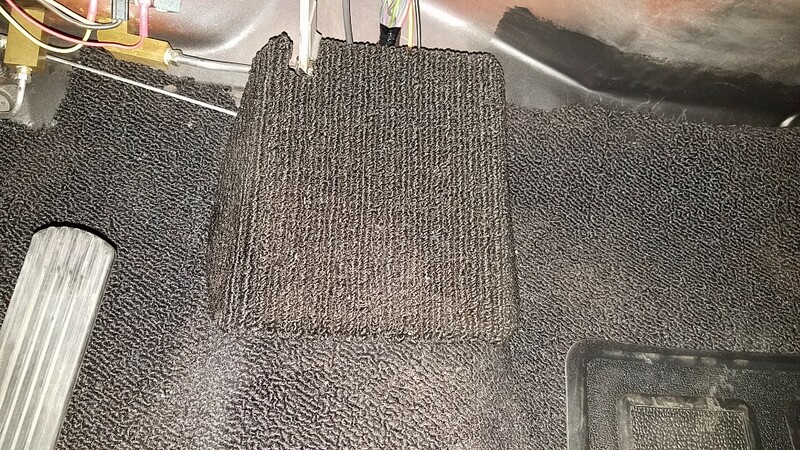 Carpet sourced from under back seat. Brilliant. That is the Corvair Owners way for sure, and I just love it.